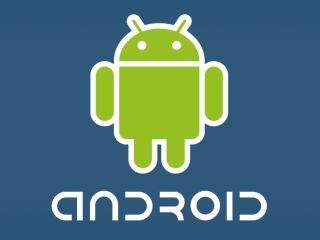 The next version of Android – codenamed Froyo – is just around the corner. Google has been tight-lipped about what the new release will offer, but here's what we know so far. This page will be constantly updated as new information comes to light. While Google hasn't given an official release date for Android 2.2, that's likely to be announced at Google's I/O developer conference this week (May 19-20). However, it could take a while to deploy to all phones - especially if HTC needs a little while to work Froyo into its Sense UI as well for the HTC Desire and Legend. That's 450% faster than Android 2.1 on a Nexus One, according to Android Police, who benchmarked a Nexus One running Android 2.1 at 6.5-7 MFLOPS and their Froyo Nexus One at 37.6 MFLOPS. Admittedly, this is only for non-native applications so it won't make the general day to day actions that much faster (although you will see a speed increase as the CPU isn't taxed as strongly in the background). Still, more speed = good, in our book. Froyo will let you broadcast your 3G signal to any device you like (including an iPad). The new update will also support tethering – although in the UK the HTC Legend and Desire have had this feature for a while. HTC has been throwing this feature around for a while, too, with its Windows Mobile range, like the HTC HD2 and the HTC HD Mini - so it will have the know-how already to (hopefully) integrate it with the Android range, too. Google's next update to its Android platform will feature integrated Flash support – that was confirmed by VP of Engineering at Google Andy Rubin. Android Police has taken a video of a Nexus One running Flash 10.1. Android phone owners tired of having to manually update their apps will be pleased to learn that Froyo will let users set their phone to automatically upgrade applications in the background. But don't worry about it hitting your privacy or acting as a Trojan horse for viruses - it's likely you'll have control over which apps will update and whether you want to do it automatically. It's one of the entries in our wishlist for what we want to see in the next version of Android, and now it looks as though it's going to happen. An entry from an Android developer on the Google Code site states that this feature is "coming soon". Soon – like the end of May? What this means is more memory-hungry applications, like those on the iPhone, which means a better experience than the casual and functional offerings currently available. Admittedly, we don't like the thought of having to pay for more applications on the Google app Market, but if it increases the quality of what's on offer, we're all for it.